An introduction to Changes in My World in social studies. 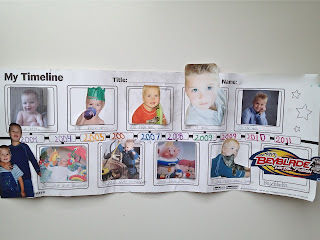 This was presented as a take home project, in the future students could bring in photos and complete the timeline at school, French content would be richer this way. Original can be found at "Really Good Stuff". A page has been added to this file to extend the written portion of this project for those who are able, for older grades, or for use as a research template or story planning board. 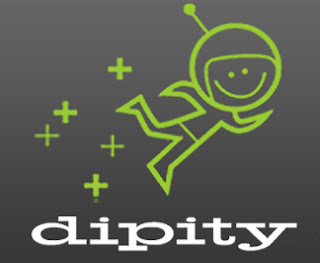 Or try Dipity - an online timeline creation tool easy for kids! 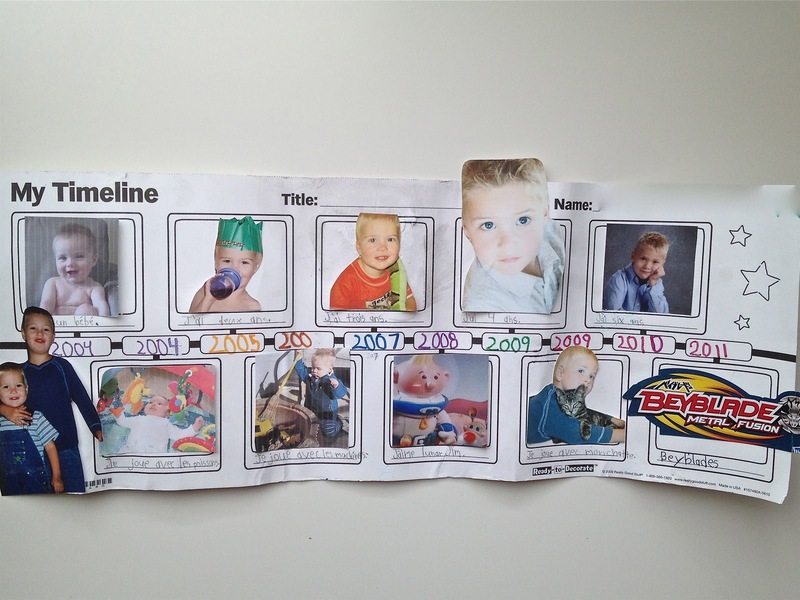 In this example the students chose photos of themselves at certain ages for the boxes above. Most wrote how old they were in French, they might also be able to add what new skill they learned at that age (how to walk, talk). They added photos of what they liked or liked to play with below (we referred to these as 'artifacts' from their childhood as we would be discussing artifacts later on in a social studies unit). The images of the toys below were most significant to the students. They liked to laugh at the babyish or childish things they once liked now that they were mature 6 year olds! For a longer timeline print both pages and glue them together. Could this format be used to plan a story? Could it be used to retell the key events in a story? Could each square represent a stage in the lifecycle of a critter or plant? Once students have had practice representing their learning a certain way, there is no harm in revisiting that strategy (ie: this freise). Students develop a bank of ways to show their learning that they can choose from later on in the year.